Our blue plastic polypropylene (PP) 3 ply twisted split film rope is suitable to a wide range of applications. 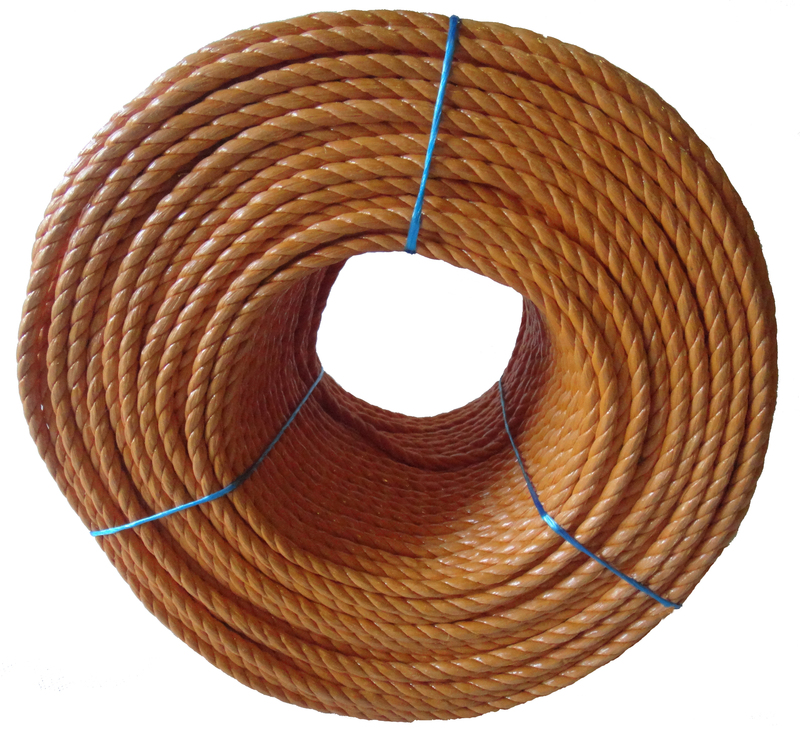 It is ideal for hundred's of uses including lashing & strapping. 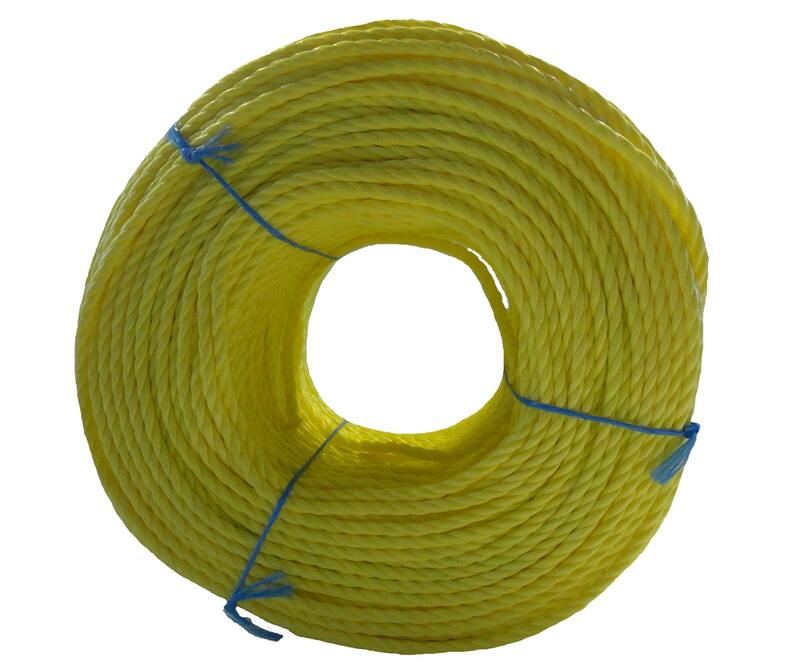 It is widely used in agriculture, DIY, building trade, camping, pulley rope, hardware rope, draw rope, knot tying, general use, pulleys, winches, holding down tarpaulins, lashing nets to scaffolding, drawcord (duct) rope to pull cables underground, industry uses & domestic. 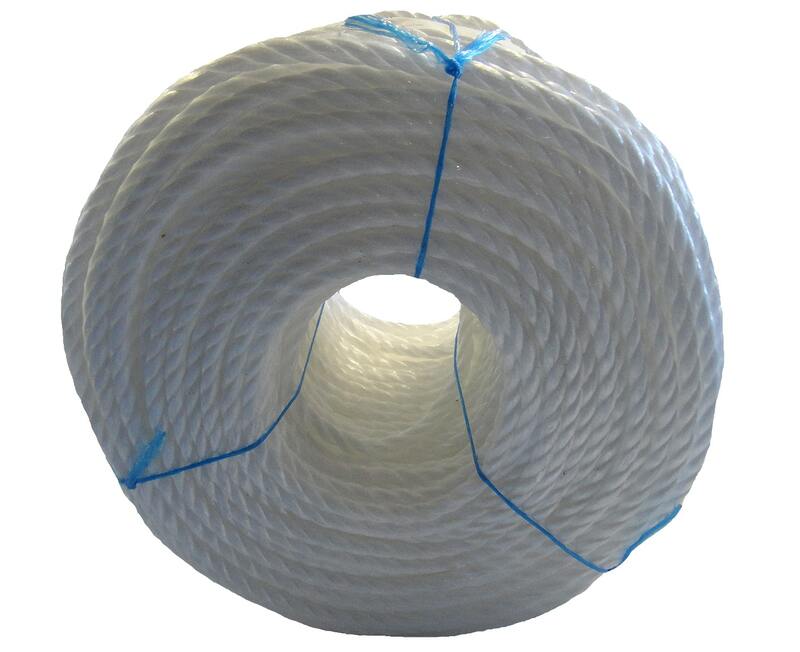 Polypropylene rope is the cheapest rope available on the market and is a very popular product. 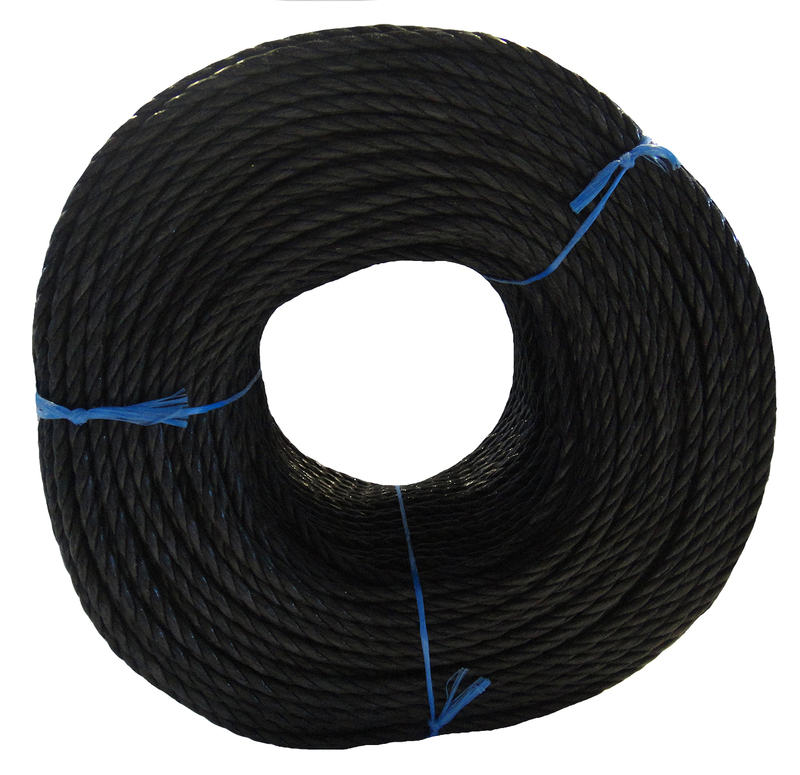 Polyprop rope is very strong and floats on the water, knots well and retains it's shape. 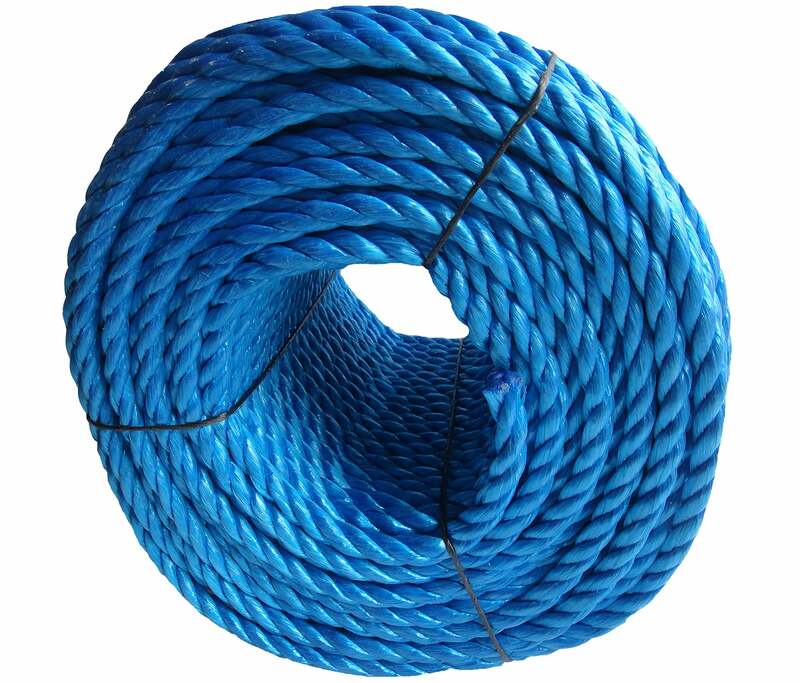 We carry a huge stock of blue polypropylene ropes in 6mm, 8mm, 10mm, 12mm, 14mm, 16mm, 18mm, 20mm, 22mm, 24mm & 28mm diameter available by the metre, in a 220m commercial coil or supplied on a wooden drum in 500m lengths in 6mm, 8mm & 10mm. 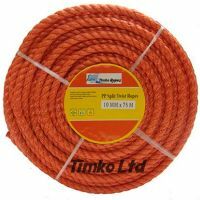 In certain diameters we can also offer our polypropylene waterproof rope in various colours such as white, yellow, orange, black & red. Also know as blue nylon rope we can offer superb deals on our poly rope and can also offer a next day delivery service to all mainland UK addresses if ordered before 2pm.